← What Shall We Do? into a cage of lions. They have their whips, of course, and their pistols are at their sides. But invariably they also carry a stool. When I heard that story I thought it describes our society today that has lost focus on what is really important in life. Things like virtue. Honor. Integrity. Spiritual values. And because we are all influenced by our culture, it impacts the Christian community. Instead of seeking to transform culture through Christ, it is often easy to become conformed. The word is used in specific ways in geology, physics, and geometry. Obviously, in optics we speak of a clearly defined image. But the word also speaks to the issue of concentration. Attention. Activity. You’ve heard the word used a lot in sports. We’re just focused on the next game. On business at hand. On getting better. I once heard LaBron James say after his team had lost two consecutive games that the team had lost focus and needed to be focused again. 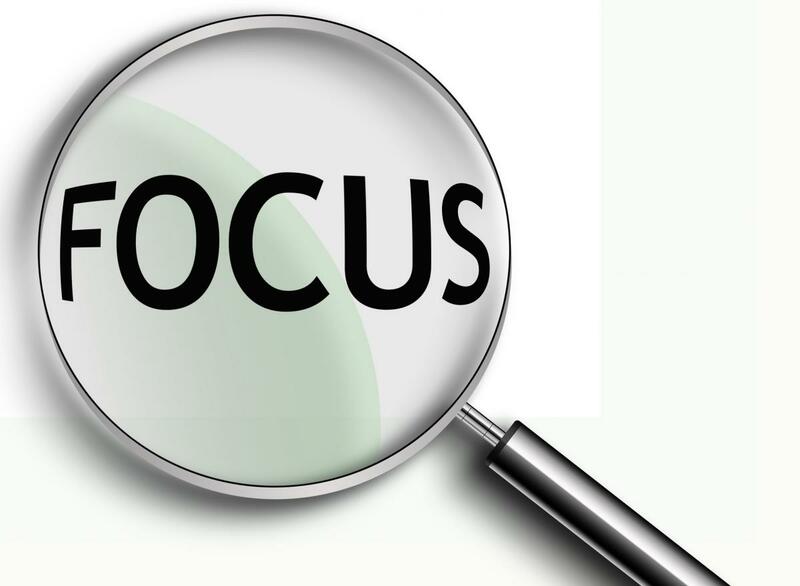 Spiritually there is a focus that is important. Some things we should see clearly. There’s a need for our undivided attention. The wise man counseled, “Let your eyes look directly forward, and your gaze be straight before you” (Prov. 3:25). Paul admonished, “Set your mind on things above, not on things on the earth” (Col 3:2). Peter exhorted to be “sober-minded and watchful” (1 Pet. 5:8). Then he warned that our adversary, the devil, is like a roaring lion seeking to devour us. He will use every weapon in his arsenal to divert our focus from spiritual matters. To stay focused we must follow the advice of the Psalmist and incline our heart to the testimonies of the Lord and turn our eyes away “from looking at worthless things” (Ps. 119:136-137). Sin can blind us. Our vision may be clouded by the cares of this world. Emotional distractions may have us focused on the wrong things. Spiritual focus can be achieved when we follow the exhortation of the Hebrew writer, “Let us fix our eyes on Jesus” (Heb. 12:2). When we focus on Him as our example, our attention and concentration is firmly fixed. Actually, that is true not only about worship but also regarding our ministry, fellowship, discipleship and evangelistic outreach. Isn’t it all about Jesus? Serving Him? Obeying Him? And honoring Him? In his book, Fuel An Extraordinary Life, Richard Rogola shares 8 attributes that contribute to a successful life. Among them are faith, courage, and perseverance. But he writes that it is the attribute of focus that must be combined with the other 7 to achieve success. This is true in sports, business and in living the Christian life. Regardless of how crazy your week is, keep your focus on Christ. His Word. His way. And His purpose for your life.